Last week was WDD (Wollmeise Delivery Day). 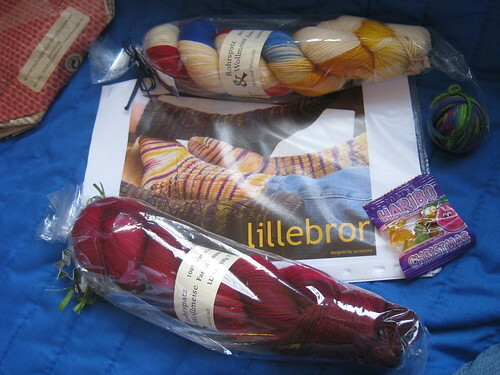 The yarn was spectacular, of course, but it was the little goodies that really made my day. There were Christmas gummies (which didn’t even make it to the second picture, hah!) and a sweet little shooting star cookie cutter. 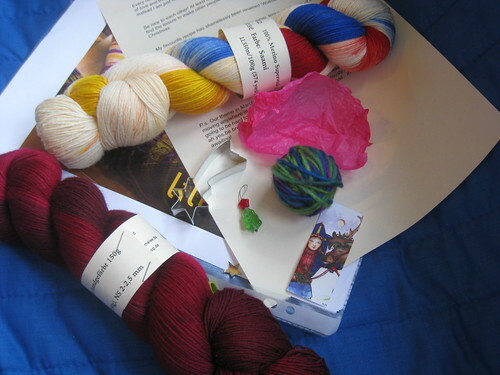 But the best thing was a small ball of yarn that, when unrolled, contained a special and festive stitch marker. 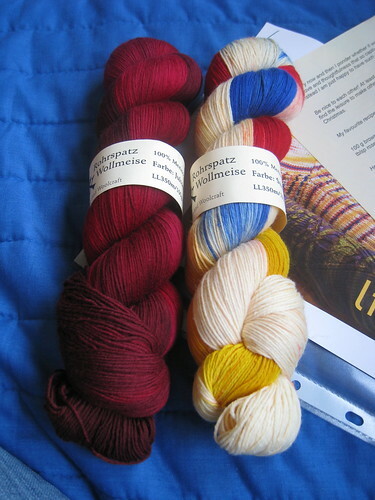 Hooray for Wollmeise!